Your neighbors will welcome you to the neighborhood when you move in! 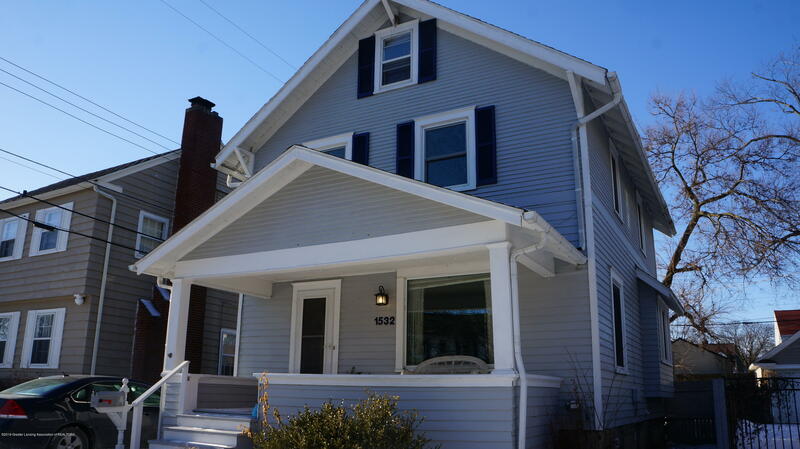 A charming move-in-ready house in the desirable Westside neighborhood. This house boasts original wood floors with oak trim. There are many original oak features in the house that add to the charm. The welcoming front porch is the ideal spot for warm weather entertaining and a place to meet your neighbors. An expansive, private back deck is a great spot for summer grilling. The updated kitchen offers loads of cupboard and countertop space. The second floor has 3 bedrooms and a newly remodeled bathroom featuring a whirlpool bathtub. The walk-up third floor attic has just been well insulated and is waiting for your final finishing touches. It will make a perfect office, bedroom or playroom. 2nd full bath in basement.